Many people believe that Halloween has its roots in a Celtic religious festival. Its name however, originates from English as it is a distortion of All Hallow Even, which literally means “the evening of all hallowed saints”, or the eve of the Christian festival, All Saints’ Day. In the old days, this festival was symbolized by a carved turnip containing a candle to commemorate the legend of Jack-o’-lantern, who was condemned to wander eternally in darkness between hell and heaven with only a candle inside a turnip, to light his way. British Catholic immigrants brought Halloween to North America, and in time, the turnip was replaced by a pumpkin, as it is much larger and therefore much easier to carve. 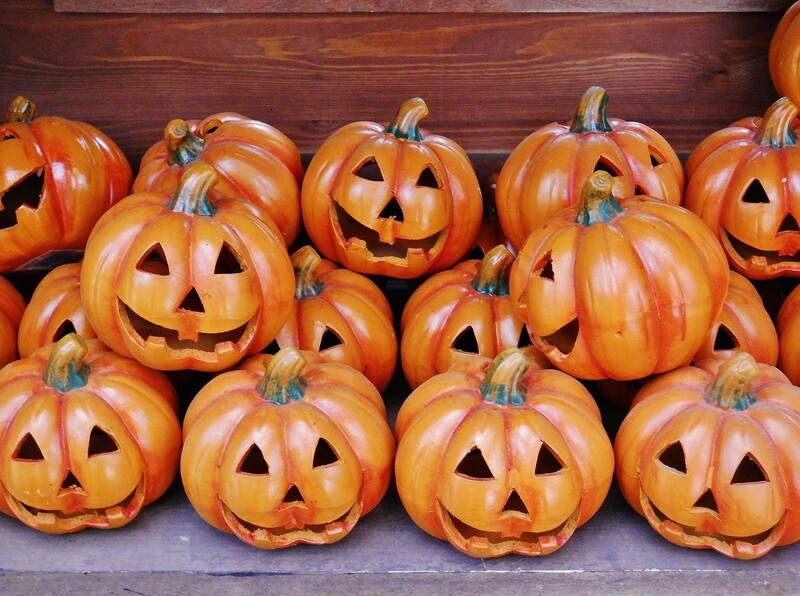 But apart from being carved at Halloween, pumpkins have other uses too. Instead of throwing away the pulp when you’re cleaning it out, I advise you to cook it in the microwave oven and make a tasty risotto, like our recipe for Pumpkin Risotto. P.S. Beware of witches this evening! Happy Halloween! Originally published in the Journal de Montréal on October 31, 2009.